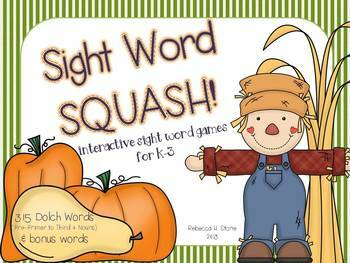 This product contains two different sight word games using 315 Dolch Words (Pre-Primer, Primer, First, Second, Third, Nouns) plus 39 bonus words that my district also requires in K-2. 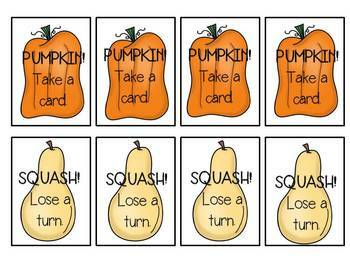 Use the cards that are appropriate for your class, add cards as needed, and/or use multiple levels for differentiation. 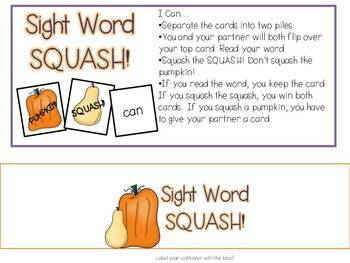 With colorful pumpkin and squash cards to keep the game interesting and black and white word cards for ink conservation, this game will be a great addition to your classroom. 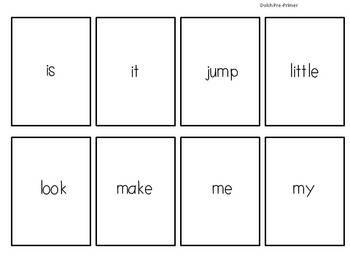 After the fall season is over, keep the simple word cards out for flashcards, writing reference, making sentences, alphabetizing, etc.